Sylhet Range comprises of 4 districts namely Sylhet,Habiganj,Moulvibazar and Sunamganj.It also includes RRF Sylhet. In 1947 Sylhet became a part of East Pakistan as a result of a referendum (except the sub-division of Karimganj). The greater Sylhet was divided into four new districts viz Sylhet, Sunamganj, Habiganj and Maulvi Bazar in 1983-84. Tombs of Hazrat Shah Jalal (R) and Shah Paran (R), Syed Osmani Bagdadi (R), Jinda Pir, Fakir Kanai Shah and Shitalang Shah are sacred places for Muslims in and abroad Bangladesh. 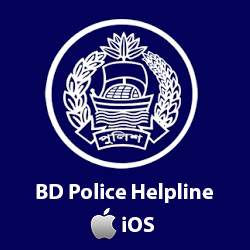 In Sylhet, there are 11 police stations: Zakigonj, Kanaighat, Bianabazar, Jointiapur, Goinghat, Companigonj, Balagong, Osmaninagor,Bishanath, Golapgonj, and Fenchugong. There are three circles in the district, which are South, North and Zakigonj circles. It has four check posts, two investigation centers, a divisional police hospital and an In-service training centre under the leadership of Superintendent of Police. During liberation war, 8 (Eight) police personnel of different ranks from this district were martyred. Habiganj, having a total area of 2,636.58 sqare km, is a district under Sylhet Division and situated in the north-eastern part of Bangladesh. At present the adminitrative work of Habigonj district police is going on in 09 police stations, 03 investigation centers, 03 river side police camps, 02 town out posts, 05 out posts, 01 international border check post and 01 In-service training center. 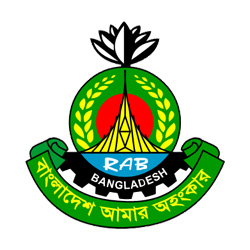 The police stations are Habiganj, Madhobpur, Chunarughat, Bahubol, Lakhaei, Nabiganj, Baniachang, Ajmeriganj and Shayestaganj. Sunamganj is the 8th largest district in Bangladesh. Area of Sunamganj district is 3,669.58 sqkm. 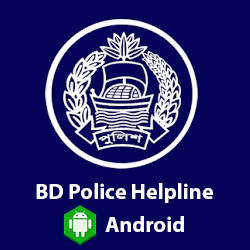 There are 12 police stations: Sunamgonj Sadar, South Sunamgonj, Chatak, Jagannathpur, Doarabazar, Dhirai, Shalla, Tahirpur, Bishombhorpur, Jamalgonj, Moddhonagar, Dharmapasha under 02 circles. In the year 1984 Moulovibazar subdivision was upgraded as a district. It is a district to the North-East of Bangladesh. It is surrounded by Sylhet district in the north, Habigonj district in the west and Assam and Tripura in the east and south respectively. The main river of the district are the Manu, the Dholoi and the Juri which flow from India. There are 07 police stations: Moulovibazar model thana, Sreemongol, Komolgonj, Rajnagar, Kulaura, Borolekha and Juri which are supervised by two Circle ASPs. Range reserve force (RRF), Sylhet was established in 19th December, 1995. Presently RRF, Sylhet has 7 camps. It provides security to some important KPIs like Bibiana Gas field at Habigonj and Kalapur Gas field at Srimangal, Moulovibazar. 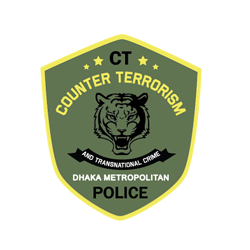 As RRF, Sylhet does not have its own premises,it is currently sharing the facilities with the Sylhet district police. In 2011, a total of 10.90 acres of land was handed over to RRF, Sylhet to establish its own office and Barak at Lalabazer besides the Dhaka Sylhet highway.